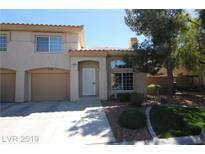 Find Silverado Ranch, NV Condos for sale. View Photos, Maps and MLS Data Now! 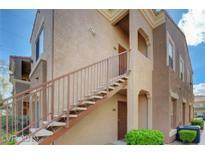 Amber Ridge - Near Downtown Summerlin / Costco / Las Vegas Ball Park / Golden Knights Practice Arena- Great Location! 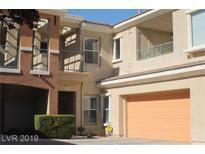 MLS#2089074. Show Vegas Realty. Amber Ridge - Amazing opportunity for a Large 2 Bedroom in the Heart of Summerlin nearby Pavillion Center, short drive to Downtown Summerlin featuring Laminate/Tile flooring, Fireplace, Open Floorplan, Large Kitchen with Corian counters, Stainless aplliances, Huge Master Suite with Separate Tub/Shower, Walk in closet in a gated community with pool and balcony overlooking Paseo with Mountain Views MLS#2088746. Simply Vegas. Bermuda Serene - Garage attached with entry into home. Great property. A must see. MLS#2084443. RE/MAX Advantage. Silverado Villas - Ground level location, gated quite community. Location, Location Location! MLS#2087909. HomeSmart Encore. Amber Ridge - Just In Time For Fun Summer Living. MLS#2086926. Platinum R.E. Professionals. Square At Wigwam Ranch - Do not miss the opportunity to own this fabulous property! MLS#2085838. Realty ONE Group, Inc.
Silverado Villas - Close to restaurants, shopping area and strip. MLS#2085760. Top Tier Realty. 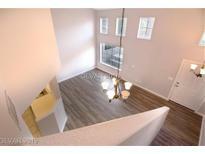 Belle Esprit - Gorgeous, recently remodeled, two-tone paint, stainless steel appliances, wood laminate, carpet, backsplash, and one-car garage with garage remote opener MLS#2083227. Nevada Real Estate Corp.
Amber Ridge - This property won't last long! MLS#2080498. Realty ONE Group, Inc.
Mission Pointe - Easily get to the 15 freeway too. PARKING #191. MLS#2081352. Elite Realty. Square At Wigwam Ranch - Beautiful diagonally placed 18" tile floor. Nestled in a quiet Cul-De-Sac. MLS#2079051. eXp Realty. Belle Esprit - Security Screen door is at the front of entry. MLS#2078408. Win Win Real Estate. 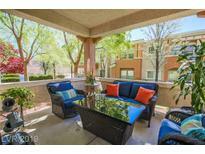 Mission Pointe - Near I 15 and Beltway , schools, shopping. MLS#2077416. Landmark Realty. Square At Wigwam Ranch - Lower HOA than many gated communities making this home affordable. GREAT LOCATION! MLS#2075401. LIFE Realty. Silverado Villas - Great location. Don't miss out!! ! MLS#2077155. BluePrint Realty LLC. Cactus Court - Solid surface counter tops, beautiful laminate flooring and ceramic tile, nice laundry room and beautiful landscaped common area. MLS#2075458. Rich Baron. 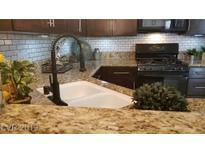 Unit has been well maintained with newer AC and water filtration system. MLS#2075692. Keller Williams Realty SW.
Agate Gilespie - Community amenities include pool,Spa tennis/basketball court. MLS#2074863. Resolution Realty. Silverado Villas - Large Front Courtyard With Planter, And Nice Balcony Space. This One Won'T Last!! ! MLS#2074478. Nationwide Realty LLC. Cactus Court - Desirable end unit with double garage, plus guest parking. MLS#2070172. RE/MAX United. 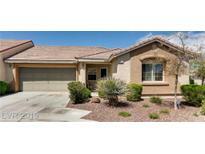 Cactus Court - Pictures coming soon...Call or text agent for showings! ! MLS#2070598. United Realty Group. Silverado Villas - Tile & Laminate Wood Flooring Through Out The House. All Appliances Included. Must See! MLS#2068463. 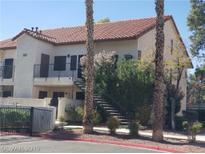 Nevada Real Estate Corp.
Silverado Condo - Stainless Steel Appliances, backsplash, Tiles, upgraded Quartz countertop, two-tone paint, less than 2-years-old carpet. MLS#2068353. Nevada Real Estate Corp.
Mission Pointe - A California Exodus Favorite act today dont delay! MLS#2065558. Platinum R.E. Professionals.